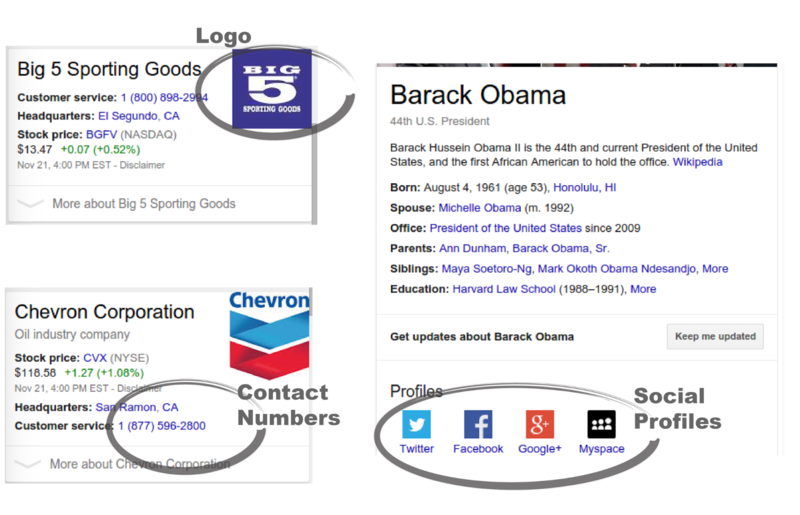 In 2011, we announced schema.org, a new initiative from Google, Bing and Yahoo! to create and support a common vocabulary for structured data markup on web pages. 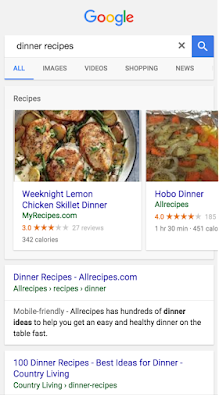 Since that time, schema.org has been a resource for webmasters looking to add markup to their pages so that search engines can use that data to index content better and surface it in new experiences like rich snippets, GMail, and the Google App. Schema.org, which provides a growing vocabulary for describing various kinds of entity in terms of properties and relationships, has become increasingly important as the Web transitions to a multi-device, mobile-oriented world. We are now seeing schema.org being used on many millions of Web sites, defining data types and properties common across applications, platforms and products, in order to enhance the user experience by delivering the most relevant information they need, when they need it. In Schema.org: Evolution of Structured Data on the Web, an overview article published this week on ACM, we report some key schema.org adoption metrics from a sample of 10 billion pages from a combination of the Google index and Web Data Commons. In this sample, 31.3% of pages have schema.org markup, up from 22% one year ago. 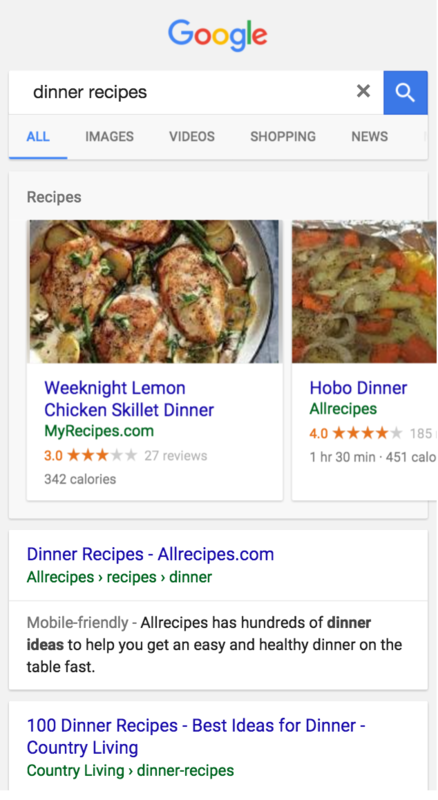 Structured data markup is now a core part of the modern web. The schema.org group at W3C is now amongst the largest active W3C communities, serving as a hub for diverse groups exploring schemas covering diverse topics such as sports, healthcare, e-commerce, food packaging, bibliography and digital archive management. Other companies, also make use of the same data to build different applications, and as new use cases arise further schemas are integrated via community discussion at W3C. Each of these topics in turn have subtle inter-relationships - for example schemas for food packaging, for flight reservations, for recipes and for restaurant menus, each have different approaches to describing food restrictions and allergies. Rather than try to force a common unified approach across these domains, schema.org's evolution is pragmatic, driven by the combination of available Web data, and the likelihood of mainstream consuming applications. Schema.org is also finding new kinds of uses. One exciting line of work is the use of schema.org marked up pages as training corpus for machine learning. John Foley, Michael Bendersky and Vanja Josifovski used schema.org data to build a system that can learn to recognize events that may be geographically local to a particular user. Other researchers are looking at using schema.org pages with similar markup, but in different languages, to automatically create parallel corpora for machine translation. This is the second episode in the series of posts reporting on the work we are doing to build text-to-speech (TTS) systems for low resource languages. In the previous episode, we described the crowdsourced data collection effort for Project Unison. In this episode, we describe our work to construct a parametric voice based on that data. In our previous episode, we described building TTS systems for low resource languages, and how one of the objectives of data collection for such systems was to quickly build a database representing multiple speakers. There are two main justifications for this approach. First, professional voice talents are often not available for under-resourced languages, so we need to record ordinary people who get tired reading tedious text rather quickly. Hence, the amount of text a person can record is rather limited and we need multiple speakers for a reasonably sized database that can be used by others as well. Second, we wanted to be able to create a voice that sounds human but is not identifiable as a real person. Various concatenative approaches to speech synthesis, such as unit selection, are not very suitable for this problem. This is because the selection algorithm may join acoustic units from different speakers generating a very unnatural sounding result. Adopting parametric speech synthesis techniques is an attractive approach to building multi-speaker corpora described above. This is because in parametric synthesis the training stage of the statistical component will take care of multiple-speakers by estimating an averaged out representation of various acoustic parameters representing each individual speaker. Depending on number of speakers in the corpus, their acoustic similarity and ratio of speaker genders, the resulting acoustic model can represent an average voice that is indistinguishable from human and yet cannot be traced back to any actual speakers recorded during the data collection. We decided to use two different approaches to acoustic modeling in our experiments. The first approach uses Hidden Markov Models (HMMs). This well-established technique was pioneered by Prof. Keiichi Tokuda at Nagoya Institute of Technology, Japan and has been widely adopted in academia and industry. It is also supported by a dedicated open-source HMM synthesis toolkit. The resulting models are small enough to fit on mobile devices. The second approach relies on Recurrent Neural Networks (RNNs) and vocoders that jointly mimic the human speech production system. Vocoders mimic the vocal apparatus to provide a parametric representation of speech audio that is amenable to statistical mapping. RNNs provide a statistical mapping from the text to the audio and have feedback loops in their topology, allowing them to model temporal dependencies between various phonemes in human speech. In 2015, Yannis Agiomyrgiannakis proposed Vocaine, a vocoder that outperforms the state-of-the-art technology in speed as well as quality. In 2013, Heiga Zen, Andrew Senior and Mike Schuster proposed a neural network-based model that mimics deep structure of human speech production for speech synthesis. The model has further been extended into a Long Short-Term Memory (LSTM) RNN. This allows long term memorization, which is good for speech applications. Earlier this year, Heiga Zen and Hasim Sak described the LSTM RNN architecture that has been specifically designed for fast speech synthesis. The LSTM RNNs are also used in our Automatic Speech Recognition (ASR) systems recently mentioned in our blog. Using the Hidden Markov Model (HMM) and LSTM RNN synthesizers described above, we experimented with a multi-speaker Bangla corpus totaling 1526 utterances (waveforms and corresponding transcriptions) from five different speakers. We also built a third system that utilizes LSTM RNN acoustic model, but this time we made it small and fast enough to run on a mobile phone. We synthesized the following Bangla sentence "এটি একটি বাংলা বাক্যের উদাহরণ" translated from “This is an example sentence in Bangla”. Though HMM synthesizer output can sound intelligible, it does exhibit some classic downsides with a voice that sounds buzzy and muffled. With the LSTM RNN configuration for mobile devices, the resulting audio sounds clearer and has improved intonation over the HMM version. We also tried a LSTM RNN configuration with more network nodes (and thus not suitable for low-end mobile devices) to generate this waveform - the quality is slightly better but is not a huge improvement over the more lightweight LSTM RNN version. We hypothesize that this is due to the fact that a neural network with many nodes has more parameters and thus requires more data to train. These early results are encouraging for several reasons. First, they confirm that natural-sounding speech synthesis based on multiple speakers is practically possible. It is also significant that the total number of recordings used was relatively small, yet were able to build intelligible parametric speech synthesis. This means that it is possible to collect training data for such a speech synthesizer by engaging the help of volunteers who are not professional voice artists, for a short period of time per person. Using multiple volunteers is an advantage: it results in more diverse data, and the resulting synthetic voice does not represent any specific individual. This approach may well be the foundation for bringing speech technology to many more traditionally under-served languages. 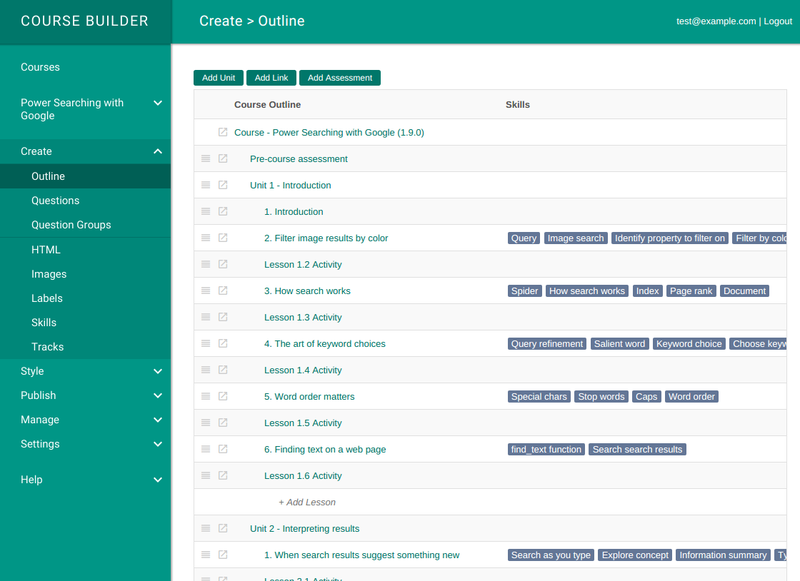 The Course Builder team believes in enabling new and better ways to learn (for both the instructor and learner). Today's release of Course Builder v1.10 furthers these goals in three ways, by being easier to use, embeddable and applicable to more types of content. We took a step back and re-envisioned the menus and navigation of the administrative interface based on the steps instructors take as they create a course. These are designed to help you through the process of creating, styling, publishing and managing your courses. This re-imagined design gives a solid foundation for future versions of Course Builder. A completely redesigned navigation simplifies content authoring and configuration. To support this redesign, we’ve also completely revamped our documentation. There’s now one home for all of Course Builder’s materials: Google Open Online Education. Here, you’ll find everything you need to conceptualize and construct your content, create a course using Course Builder, and even develop new modules to extend Course Builder’s capabilities. The content now reflects the latest features and organization. This re-imagined design gives a solid foundation for future versions of Course Builder. We started with embeddable assessments because evaluation is so important to learning, but we don’t plan to stop there. Watch for additional embeddable components in the future. Many types of online learning content, like tutorials, exercises and documentation, are a lot like online courses. For instance, they might involve presenting content to users, having them do exercises or assessments and allowing them to stop and return later. Yet, you might not think of them as traditional courses. To make Course Builder a better fit for a broader set of online content, we’ve added a new “guides” experience. 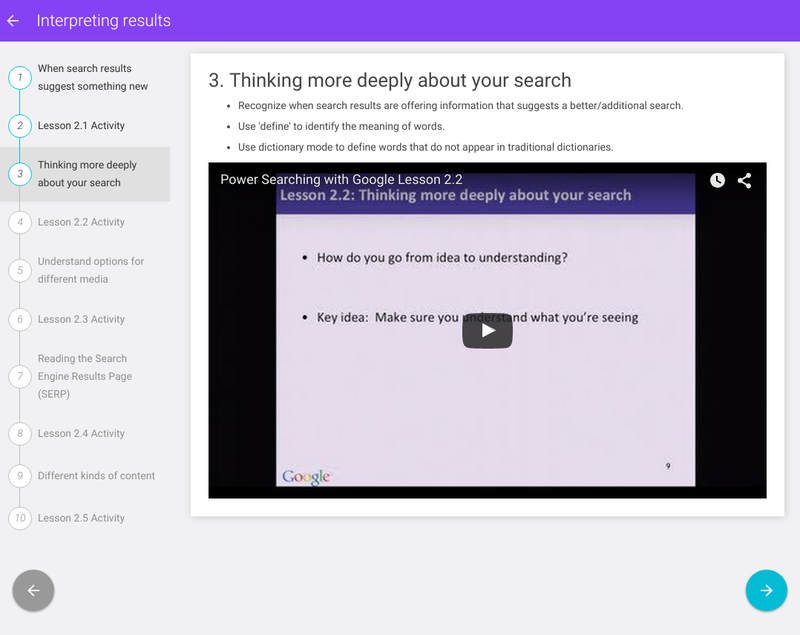 Guides are a new way for students to browse and consume your content. Compared to typical online courses -- which can enforce a strict linear path (from unit 1 to unit 2, etc.) -- guides present your content as a non-numbered list. Users are free to enter and exit in any order. It also allows you to show the content for many courses together. By letting users jump in and out of the content as they like, guides are ideally suited to the on-the-go learner and look great on phones and tablets. It’s our first foray into responsive mobile design... but it won’t be our last. Guides currently support public courses, but we’ll be adding registration, enhanced statefulness and interface customization, as well as elements of dynamic learning (think of a personalized list of guides). This release has focused on making Course Builder easier to use and more relevant. It sets up the framework to give future features a natural home. It adds embeddable assessments to make Course Builder useful in more places. 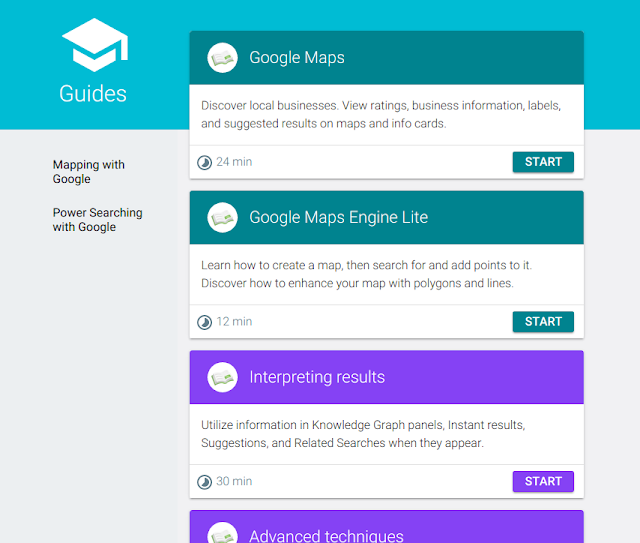 And it introduces guides, a new, less linear format for consuming content. For a full list of features, see the release notes, and let us know what you think. Keep on learning! During the last two years, the Google Quantum AI team has made progress in understanding the physics governing quantum annealers. We recently applied these new insights to construct proof-of-principle optimization problems and programmed these into the D-Wave 2X quantum annealer that Google operates jointly with NASA. The problems were designed to demonstrate that quantum annealing can offer runtime advantages for hard optimization problems characterized by rugged energy landscapes. Time to find the optimal solution with 99% probability for different problem sizes. We compare Simulated Annealing (SA), Quantum Monte Carlo (QMC) and D-Wave 2X. Shown are the 50, 75 and 85 percentiles over a set of 100 instances. 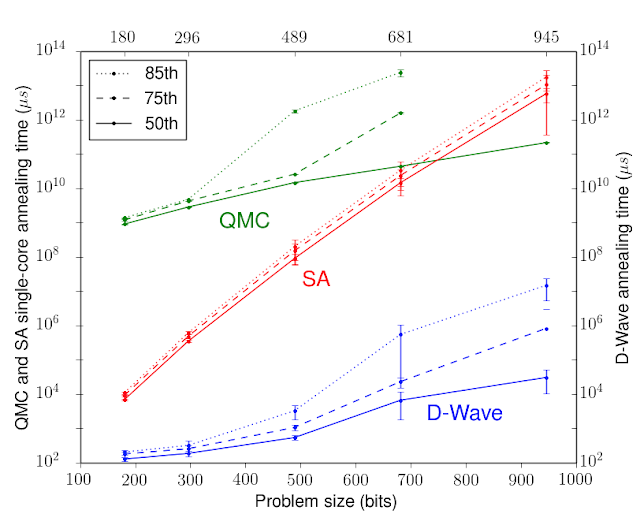 We observed a speedup of many orders of magnitude for the D-Wave 2X quantum annealer for this optimization problem characterized by rugged energy landscapes. For such problems quantum tunneling is a useful computational resource to traverse tall and narrow energy barriers. While these results are intriguing and very encouraging, there is more work ahead to turn quantum enhanced optimization into a practical technology. The design of next generation annealers must facilitate the embedding of problems of practical relevance. For instance, we would like to increase the density and control precision of the connections between the qubits as well as their coherence. Another enhancement we wish to engineer is to support the representation not only of quadratic optimization, but of higher order optimization as well. This necessitates that not only pairs of qubits can interact directly but also larger sets of qubits. Our quantum hardware group is working on these improvements which will make it easier for users to input hard optimization problems. For higher-order optimization problems, rugged energy landscapes will become typical. Problems with such landscapes stand to benefit from quantum optimization because quantum tunneling makes it easier to traverse tall and narrow energy barriers. We should note that there are algorithms, such as techniques based on cluster finding, that can exploit the sparse qubit connectivity in the current generation of D-Wave processors and still solve our proof-of-principle problems faster than the current quantum hardware. But due to the denser connectivity of next generation annealers, we expect those methods will become ineffective. Also, in our experience we find that lean stochastic local search techniques such as simulated annealing are often the most competitive for hard problems with little structure to exploit. Therefore, we regard simulated annealing as a generic classical competition that quantum annealing needs to beat. We are optimistic that the significant runtime gains we have found will carry over to commercially relevant problems as they occur in tasks relevant to machine intelligence. For details please refer to http://arxiv.org/abs/1512.02206. Prior to joining Google, I spent a lot of time trying to get computers to recognize objects in images. At Jetpac my colleagues and I built mustache detectors to recognize bars full of hipsters, blue sky detectors to find pubs with beer gardens, and dog detectors to spot canine-friendly cafes. At first, we used the traditional computer vision approaches that I'd used my whole career, writing a big ball of custom logic to laboriously recognize one object at a time. For example, to spot sky I'd first run a color detection filter over the whole image looking for shades of blue, and then look at the upper third. If it was mostly blue, and the lower portion of the image wasn't, then I'd classify that as probably a photo of the outdoors. I'd been an engineer working on vision problems since the late 90's, and the sad truth was that unless you had a research team and plenty of time behind you, this sort of hand-tailored hack was the only way to get usable results. As you can imagine, the results were far from perfect and each detector I wrote was a custom job, and didn't help me with the next thing I needed to recognize. This probably seems laughable to anybody who didn't work in computer vision in the recent past! It's such a primitive way of solving the problem, it sounds like it should have been superseded long ago. That's why I was so excited when I started to play around with deep learning. It became clear as I tried them out that the latest approaches using convolutional neural networks were producing far better results than my hand-tuned code on similar problems. Not only that, the process of training a detector for a new class of object was much easier. I didn't have to think about what features to detect, I'd just supply a network with new training examples and it would take it from there. Those experiences converted me into a deep learning enthusiast, and so when Jetpac was acquired and I had the chance to join Google and work with many of the stars of the field, I couldn't resist. What impressed me more than anything was the team's willingness to share their knowledge with the rest of the world. 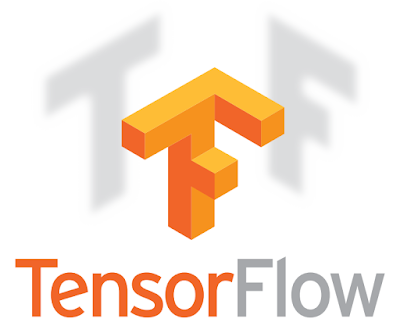 I'm especially happy that we've just managed to release TensorFlow, our internal machine learning framework, because it gives me a chance to show practical, usable examples of why I'm so convinced deep learning is an essential tool for anybody working with images, speech, or text in ML. 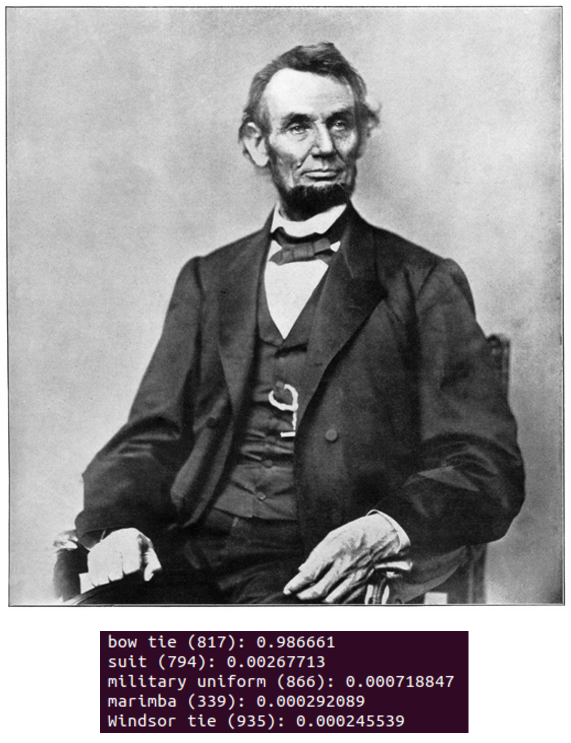 Given my background, my favorite first example is using a deep network to spot objects in an image. One of the early showcases for the new approach to neural networks was an annual competition to recognize 1,000 different classes of objects, from the Imagenet data set, and TensorFlow includes a pre-trained network for that task. If you look inside the examples folder in the source code, you'll see “label_image”, which is a small C++ application for using that network. The README has the instructions for building TensorFlow on your machine, downloading the binary files defining the network, and compiling the sample code. Once it's all built, just run it with no arguments, and you should see a list of results showing "Military Uniform" at the top. 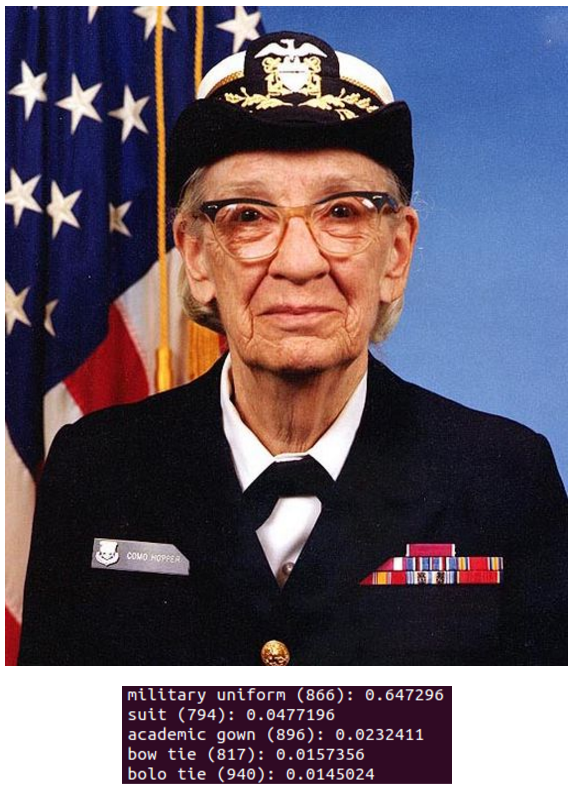 This is running on the default image of Admiral Grace Hopper, and correctly spots her attire. After that, try pointing it at your own images using the “--image” command line flag, and you should see a set of labels for each. If you want to know more about what's going on under the hood, the C++ section of the TensorFlow Inception tutorial goes into a lot more detail. The only things it will spot are those that are in the original 1,000 Imagenet classes, and it will always try to find something, which can lead to some funny results. There are no people categories, so on portraits you'll often see objects that are associated with people like seat belts or oxygen masks, or in Lincoln’s case, a bow tie! If the image is poorly lit, then “nematode” is usually the top pick since most training photos of those are taken in very dim surroundings. It's also not perfect in its identification, with an error rate of 5.6% for getting the right label in the top five results. However, that’s not all that bad considering Stanford’s Andrej Karpathy found that even someone who was trained at the job could only achieve a slightly-better 5.1% error doing the same task manually. We can do even better if we combine the outputs of four trained models into an "ensemble", with an error rate of just 3.5%. It's unlikely that the set of labels it produces is exactly what you need for your application, so the next step would be to train your own network. That is a much bigger task than running a pre-trained one like this, but one of the things I like about TensorFlow is that it spans the whole lifecycle of a machine learning model, from experimentation, to training, and into production, as this example shows. To get started training, I'd recommend looking at this simple tutorial on recognizing hand-drawn digits from the MNIST data set. I hope that sharing this framework will help developers build amazing user experiences we’d never even think of. We’ve been having a massive amount of fun with TensorFlow, and I can’t wait to see what interesting image tools you build using it! This week, Montreal hosts the 29th Annual Conference on Neural Information Processing Systems (NIPS 2015), a machine learning and computational neuroscience conference that includes invited talks, demonstrations and oral and poster presentations of some of the latest in machine learning research. Google will have a strong presence at NIPS 2015, with over 140 Googlers attending in order to contribute to and learn from the broader academic research community by presenting technical talks and posters, in addition to hosting workshops and tutorials. If you are attending NIPS 2015, we hope you’ll stop by our booth and chat with our researchers about the projects and opportunities at Google that go into solving interesting problems for billions of people. You can also learn more about our research being presented at NIPS 2015 in the list below (Googlers highlighted in blue). Google is a Platinum Sponsor of NIPS 2015. What I love about working at Google is the opportunity to harness cutting-edge machine intelligence for users’ benefit. Two recent Research Blog posts talked about how we’ve used machine learning in the form of deep neural networks to improve voice search and YouTube thumbnails. Today we can share something even wilder -- Smart Reply, a deep neural network that writes email. 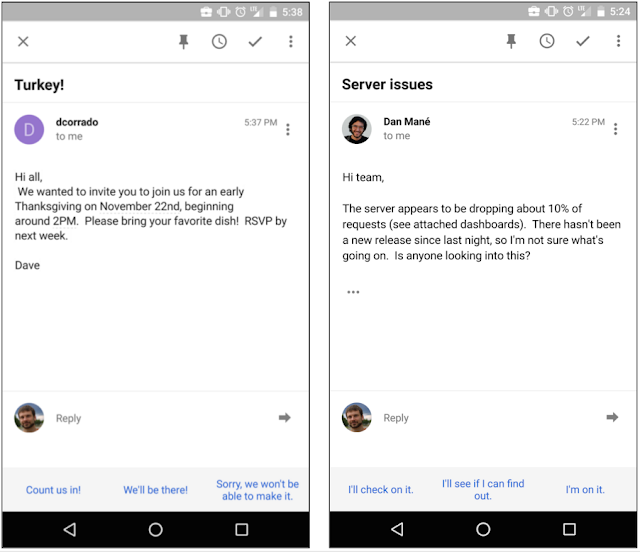 Some months ago, Bálint Miklós from the Gmail team asked me if such a thing might be possible. I said it sounded too much like passing the Turing Test to get our hopes up... but having collaborated before on machine learning improvements to spam detection and email categorization, we thought we’d give it a try. Like other sequence-to-sequence models, the Smart Reply System is built on a pair of recurrent neural networks, one used to encode the incoming email and one to predict possible responses. The encoding network consumes the words of the incoming email one at a time, and produces a vector (a list of numbers). This vector, which Geoff Hinton calls a “thought vector,” captures the gist of what is being said without getting hung up on diction -- for example, the vector for "Are you free tomorrow?" should be similar to the vector for "Does tomorrow work for you?" The second network starts from this thought vector and synthesizes a grammatically correct reply one word at a time, like it’s typing it out. Amazingly, the detailed operation of each network is entirely learned, just by training the model to predict likely responses. One challenge of working with emails is that the inputs and outputs of the model can be hundreds of words long. This is where the particular choice of recurrent neural network type really matters. We used a variant of a "long short-term-memory" network (or LSTM for short), which is particularly good at preserving long-term dependencies, and can home in on the part of the incoming email that is most useful in predicting a response, without being distracted by less relevant sentences before and after. Of course, there's another very important factor in working with email, which is privacy. In developing Smart Reply we adhered to the same rigorous user privacy standards we’ve always held -- in other words, no humans reading your email. This means researchers have to get machine learning to work on a data set that they themselves cannot read, which is a little like trying to solve a puzzle while blindfolded -- but a challenge makes it more interesting! Our first prototype of the system had a few unexpected quirks. We wanted to generate a few candidate replies, but when we asked our neural network for the three most likely responses, it’d cough up triplets like “How about tomorrow?” “Wanna get together tomorrow?” “I suggest we meet tomorrow.” That’s not really much of a choice for users. The solution was provided by Sujith Ravi, whose team developed a great machine learning system for mapping natural language responses to semantic intents. This was instrumental in several phases of the project, and was critical to solving the "response diversity problem": by knowing how semantically similar two responses are, we can suggest responses that are different not only in wording, but in their underlying meaning. Another bizarre feature of our early prototype was its propensity to respond with “I love you” to seemingly anything. As adorable as this sounds, it wasn’t really what we were hoping for. Some analysis revealed that the system was doing exactly what we’d trained it to do, generate likely responses -- and it turns out that responses like “Thanks", "Sounds good", and “I love you” are super common -- so the system would lean on them as a safe bet if it was unsure. Normalizing the likelihood of a candidate reply by some measure of that response's prior probability forced the model to predict responses that were not just highly likely, but also had high affinity to the original message. This made for a less lovey, but far more useful, email assistant. We’re actually pretty amazed at how well this works. We’ll be rolling this feature out on Inbox for Android and iOS later this week, and we hope you’ll try it for yourself! Tap on a Smart Reply suggestion to start editing it. If it’s perfect as is, just tap send. Two-tap email on the go -- just like Bálint envisioned. Video thumbnails are often the first things viewers see when they look for something interesting to watch. A strong, vibrant, and relevant thumbnail draws attention, giving viewers a quick preview of the content of the video, and helps them to find content more easily. Better thumbnails lead to more clicks and views for video creators. Inspired by the recent remarkable advances of deep neural networks (DNNs) in computer vision, such as image and video classification, our team has recently launched an improved automatic YouTube "thumbnailer" in order to help creators showcase their video content. Here is how it works. While a video is being uploaded to YouTube, we first sample frames from the video at one frame per second. Each sampled frame is evaluated by a quality model and assigned a single quality score. The frames with the highest scores are selected, enhanced and rendered as thumbnails with different sizes and aspect ratios. Among all the components, the quality model is the most critical and turned out to be the most challenging to develop. In the latest version of the thumbnailer algorithm, we used a DNN for the quality model. So, what is the quality model measuring, and how is the score calculated? The main processing pipeline of the thumbnailer. Unlike the task of identifying if a video contains your favorite animal, judging the visual quality of a video frame can be very subjective - people often have very different opinions and preferences when selecting frames as video thumbnails. One of the main challenges we faced was how to collect a large set of well-annotated training examples to feed into our neural network. Fortunately, on YouTube, in addition to having algorithmically generated thumbnails, many YouTube videos also come with carefully designed custom thumbnails uploaded by creators. Those thumbnails are typically well framed, in-focus, and center on a specific subject (e.g. the main character in the video). We consider these custom thumbnails from popular videos as positive (high-quality) examples, and randomly selected video frames as negative (low-quality) examples. Some examples of the training images are shown below. The visual quality model essentially solves a problem we call "binary classification": given a frame, is it of high quality or not? We trained a DNN on this set using a similar architecture to the Inception network in GoogLeNet that achieved the top performance in the ImageNet 2014 competition. Example frames with low and high quality score from the DNN quality model, from video “Grand Canyon Rock Squirrel”. Thumbnails generated by old vs. new thumbnailer algorithm. Back in 2012, we announced that Google voice search had taken a new turn by adopting Deep Neural Networks (DNNs) as the core technology used to model the sounds of a language. These replaced the 30-year old standard in the industry: the Gaussian Mixture Model (GMM). DNNs were better able to assess which sound a user is producing at every instant in time, and with this they delivered greatly increased speech recognition accuracy. Today, we’re happy to announce we built even better neural network acoustic models using Connectionist Temporal Classification (CTC) and sequence discriminative training techniques. These models are a special extension of recurrent neural networks (RNNs) that are more accurate, especially in noisy environments, and they are blazingly fast! In a traditional speech recognizer, the waveform spoken by a user is split into small consecutive slices or “frames” of 10 milliseconds of audio. Each frame is analyzed for its frequency content, and the resulting feature vector is passed through an acoustic model such as a DNN that outputs a probability distribution over all the phonemes (sounds) in the model. A Hidden Markov Model (HMM) helps to impose some temporal structure on this sequence of probability distributions. This is then combined with other knowledge sources such as a Pronunciation Model that links sequences of sounds to valid words in the target language and a Language Model that expresses how likely given word sequences are in that language. The recognizer then reconciles all this information to determine the sentence the user is speaking. If the user speaks the word “museum” for example - /m j u z i @ m/ in phonetic notation - it may be hard to tell where the /j/ sound ends and where the /u/ starts, but in truth the recognizer doesn’t care where exactly that transition happens: All it cares about is that these sounds were spoken. Our improved acoustic models rely on Recurrent Neural Networks (RNN). RNNs have feedback loops in their topology, allowing them to model temporal dependencies: when the user speaks /u/ in the previous example, their articulatory apparatus is coming from a /j/ sound and from an /m/ sound before. Try saying it out loud - “museum” - it flows very naturally in one breath, and RNNs can capture that. The type of RNN used here is a Long Short-Term Memory (LSTM) RNN which, through memory cells and a sophisticated gating mechanism, memorizes information better than other RNNs. Adopting such models already improved the quality of our recognizer significantly. The next step was to train the models to recognize phonemes in an utterance without requiring them to make a prediction for each time instant. With Connectionist Temporal Classification, the models are trained to output a sequence of “spikes” that reveals the sequence of sounds in the waveform. They can do this in any way as long as the sequence is correct. The tricky part though was how to make this happen in real-time. After many iterations, we managed to train streaming, unidirectional, models that consume the incoming audio in larger chunks than conventional models, but do actual computations less often. With this, we drastically reduced computations and made the recognizer much faster. We also added artificial noise and reverberation to the training data, making the recognizer more robust to ambient noise. You can watch a model learning a sentence here. We now had a faster and more accurate acoustic model and were excited to launch it on real voice traffic. However, we had to solve another problem - the model was delaying its phoneme predictions by about 300 milliseconds: it had just learned it could make better predictions by listening further ahead in the speech signal! This was smart, but it would mean extra latency for our users, which was not acceptable. We solved this problem by training the model to output phoneme predictions much closer to the ground-truth timing of the speech. The CTC recognizer outputs spikes as it identifies various phonetic units (in various colors) in the input speech signal. The x-axis shows the acoustic input timing for phonemes and y-axis shows the posterior probabilities as predicted by the neural network. The dotted line shows where the model chooses not to output a phoneme. We are happy to announce that our new acoustic models are now used for voice searches and commands in the Google app (on Android and iOS), and for dictation on Android devices. In addition to requiring much lower computational resources, the new models are more accurate, robust to noise, and faster to respond to voice search queries - so give it a try, and happy (voice) searching! Last year, we (a couple of people who knew nothing about how voice search works) set out to make a video about the research that’s gone into teaching computers to recognize speech and understand language. Making the video was eye-opening and brain-opening. It introduced us to concepts we’d never heard of – like machine learning and artificial neural networks – and ever since, we’ve been kind of fascinated by them. Machine learning, in particular, is a very active area of Computer Science research, with far-ranging applications beyond voice search – like machine translation, image recognition and description, and Google Voice transcription. So... still curious to know more (and having just started this project) we found Google researchers Greg Corrado and Christopher Olah and ambushed them with our machine learning questions. This video is our attempt to distill what we learned from talking with them, but if anything in it piques your curiosity, or you have other questions, you’re in luck! On Friday, September 25, at 1 PM PDT / 4 PM EST Greg and Chris will be doing an Ask Me Anything on Reddit (see the calendar here) to answer your deep learning questions. Everyone who’s curious is welcome to join, ask questions, and hopefully gain a better understanding of the world of machine learning and deep neural networks. (And we’ll be hanging out with them, too...in case you have any questions about video making or dogs.) We hope to see you this Friday!